Don provides auditing, accounting and business advisory services to clients in many industries of various sizes, with a special interest in accounting and tax services to independent contractors. Don is responsible for developing this practice within the firm to ensure each client receives exceptional service. 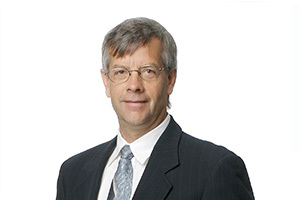 As a University of Ottawa graduate, Don joined Welch LLP in 1975. He received his CA designation in 1977 and has been Partner within the Ottawa office since 1982. Don was responsible for opening an office in Renfrew, Ontario, in 1995. Auditing, accounting, business advisory and tax services for independent contractors as well as marital financial mediation. Coaching competitive youth soccer, serving on the Board of Directors for non-profit youth soccer organizations, manager for senior soccer teams.